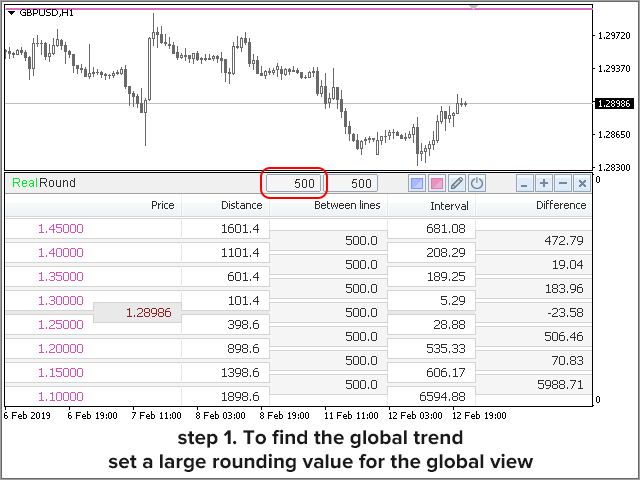 The indicator shows the round price lines on the chart. Every round number always seems to people more significant and beautiful than the usual number. Such numbers are given much more attention, and this property must be used in trading. 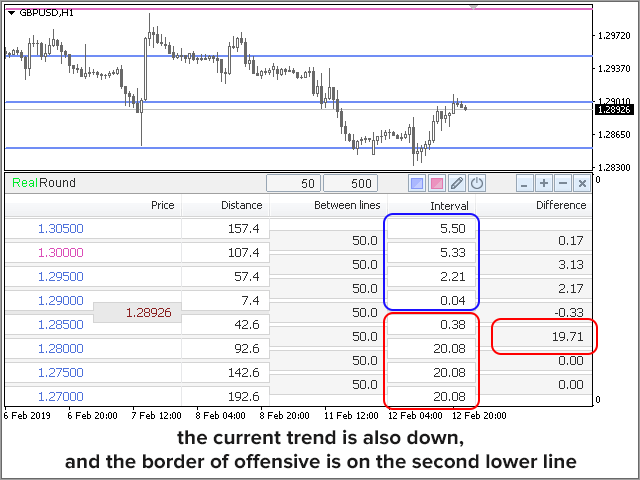 The indicator is designed to identify places where the price is experiencing particular resistance to movement. 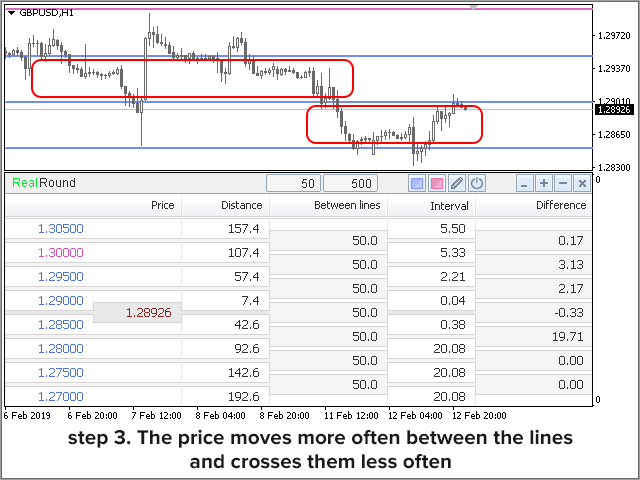 In these places, the price does not move in a straight line and often unfolds. 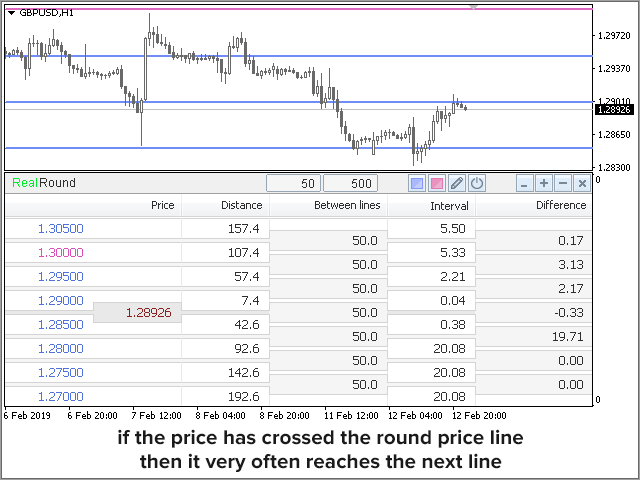 Between the lines, the price moves more freely. The optimal rounding parameter is 50 points. The second parameter allows to show lines of larger rounding. difference between the intervals of adjacent lines. Tip: carefully review the changes in the numbers in the "Interval" columns and their "Difference". Intervals indicate the direction of the current trend. 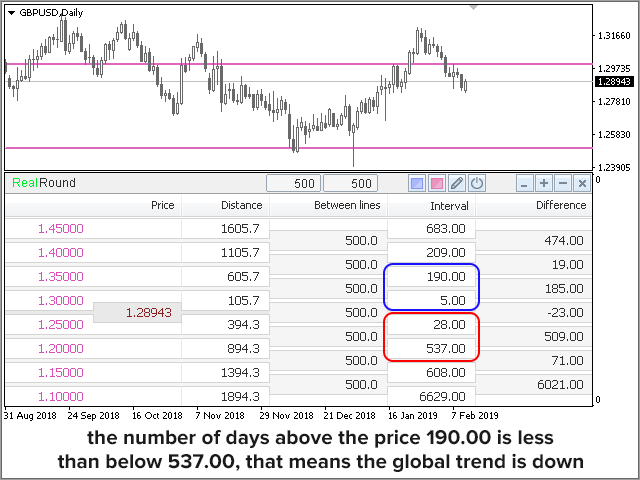 For example, if the nearest top lines from the current price have greater Intervals than the lines from the bottom, then the current trend is up. 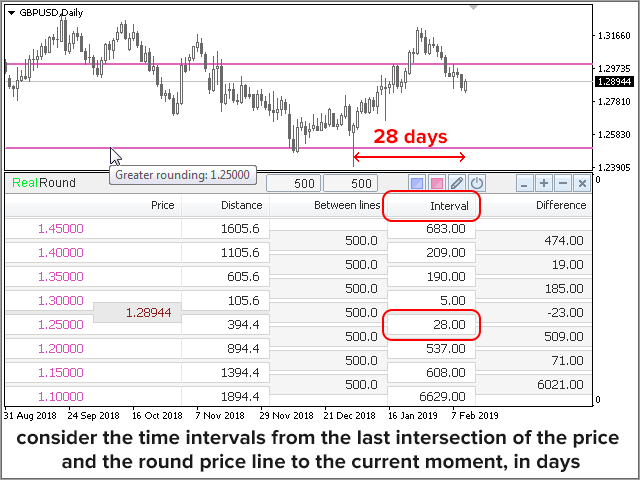 In the column "Difference" from the side of the trend, it is possible to estimate after what time its rollbacks usually occur. And from the opposite side you can see the places of large differences of intervals, which indicate strong levels on the path of the trend in these places. The RealLevels indicator, which finds all real levels on the chart, will significantly increase the probability of winning your trades. 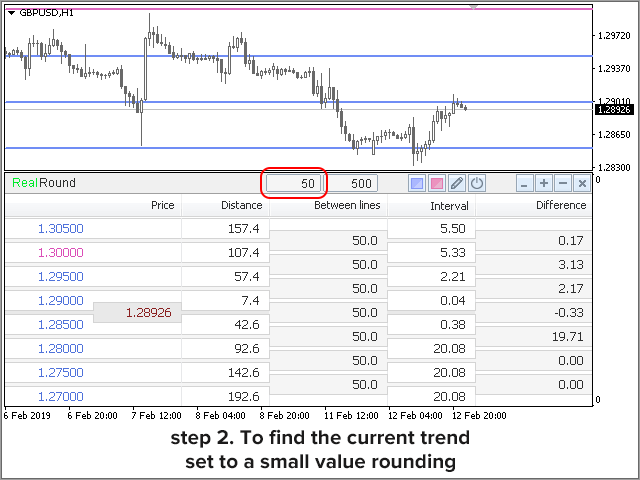 Using these indicators together gives you the advantage of owning exclusive information. Please write your impressions about this indicator in the reviews.